Bridges, teleporters, doors, ceiling fans, lights, crates ... provided prefabs. Prefabs made in J.A.C.K. 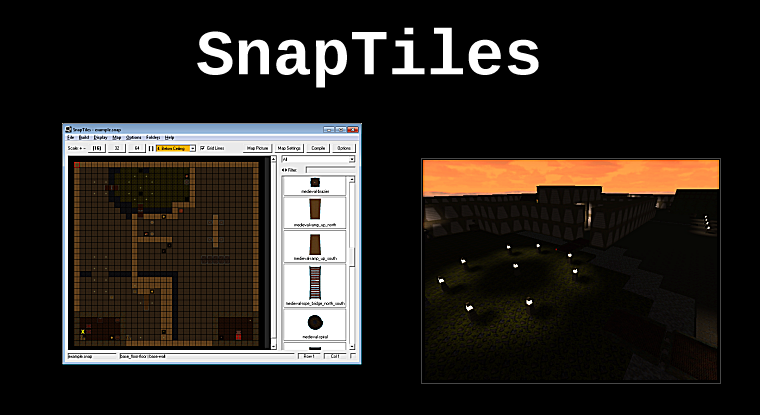 or TrenchBroom can also be used in SnapTiles (.map version 220 required, J.A.C.K. uses this by default).